We just finished insulating at the farmhouse which is such an important, vital step in the building process. But it was SO hard to pick which type to use. 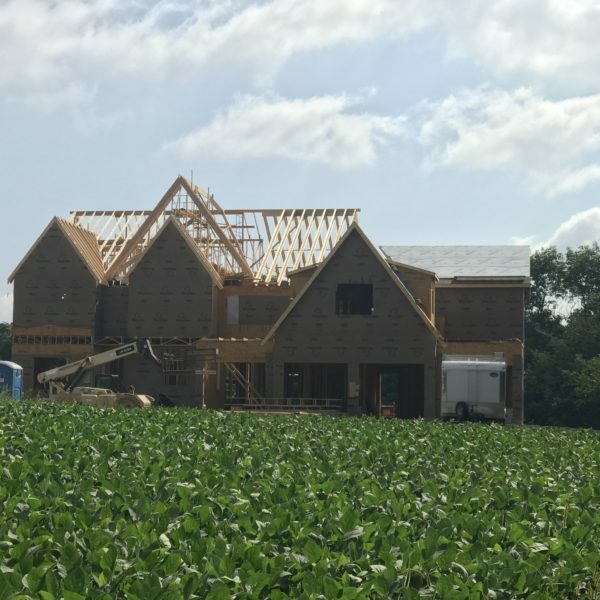 We installed a really efficient geothermal heating/cooling unit, so we definitely wanted our insulation to do its part in keeping that warm/cool air inside the house. BUT. We also want to be confident that our house isn’t going to harm us with chemicals and off-gassing. 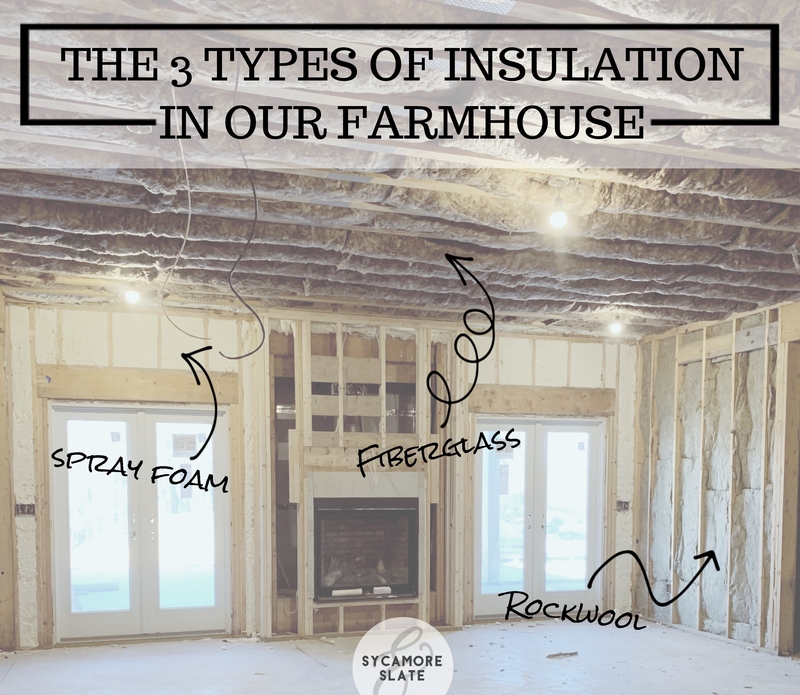 In the end, we decided to use three different insulation materials throughout the farmhouse, and I wanted to give you the rundown! Before we move on, just a little disclaimer: I’m just a homeowner and have limited knowledge and experience with insulation installation. 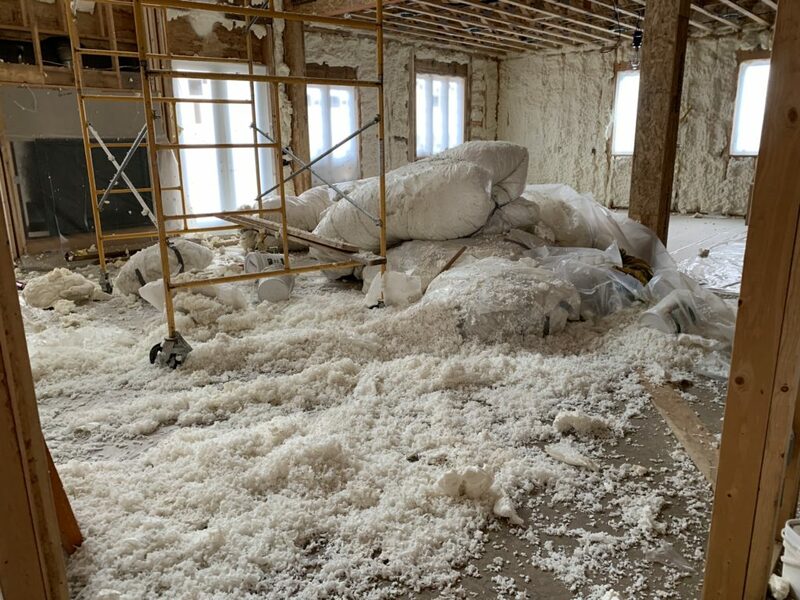 Please do your own due diligence with researching insulation materials before making a decision for your own home! Many of the things I’m relating to you here were explained and recommended to us by the contractors working on our particular job. Sometimes called “glass wool”, fiberglass is made by superheating sand, recycled glass, and other minerals to create molten liquid glass. The glass is then poured through a big sieve, moving in a circular motion, and tiny glass fibers are sprayed out. It’s really similar to how cotton candy is made, and it’s worth taking a look at the manufacturing process. The fibers are then pressed together with a binding agent to create large sheets that are cut down, either into continuous rolls (blankets), or pre-cut sections (batts). We used the brand Ecobatt, which is a more sustainable fiberglass than some, using rapidly renewable organic materials. Instead of being dyed like most fiberglass products, the material is left its natural color: brown. 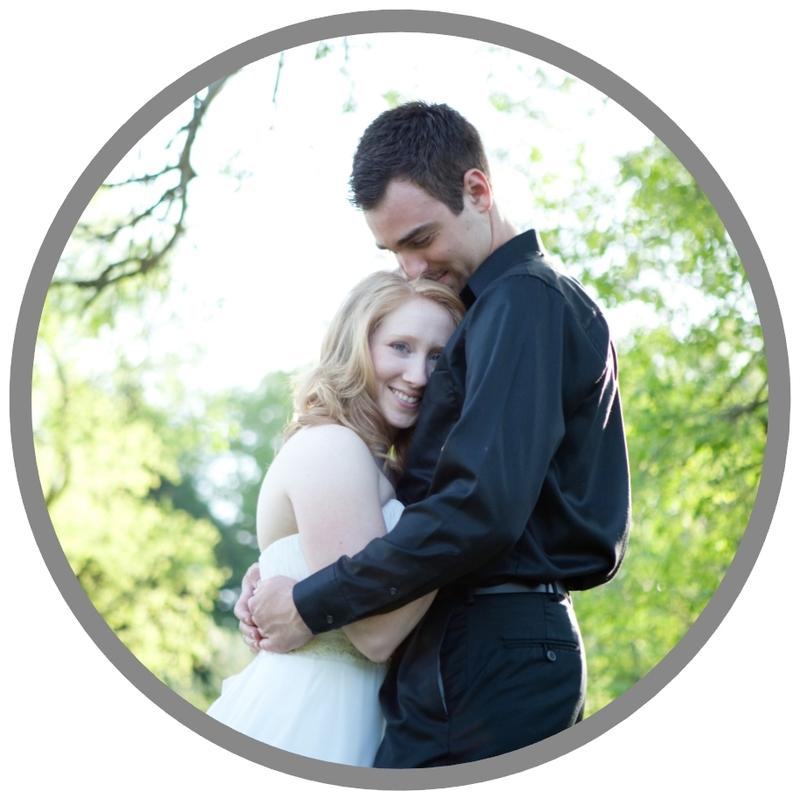 Beyond no artificial colors, it also contains no phenol, formaldehyde, or acrylics. Plus, it has a higher content of recycled materials than most competing products, at nearly 62%. Fiberglass is what we used in nearly every interior wall at the farmhouse. This was the cheapest (cost-wise) of the insulation products that we used, and therefore a great option for large jobs. 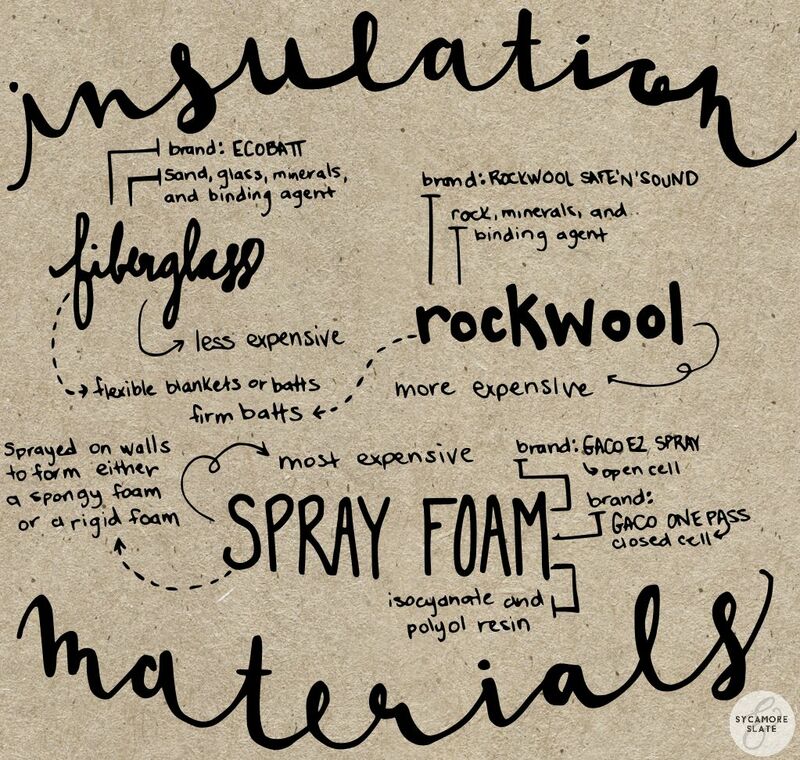 Rockwool, a type of mineral wool, is made in a very similar manner to fiberglass, only instead of molten glass, they use molten rock and/or minerals. Rockwool looks a lot like fiberglass but is less flexible – a denser and firmer material. You can see exactly how it’s made, here, if you’re interested! 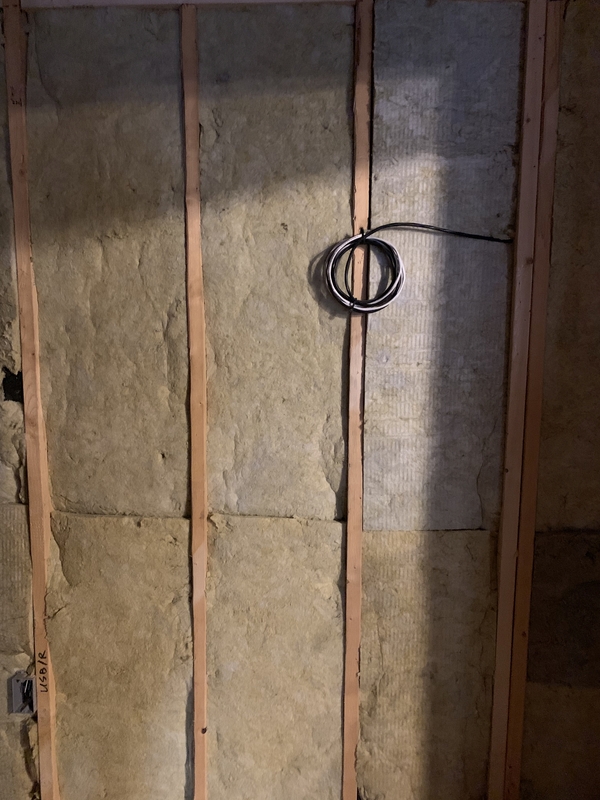 In our theater in the basement, we used Roxul brand Rockwool SAFE’N’SOUND, which is engineered to be resistant to fire and excellent for sound-proofing. This is the only area of the house that we opted for Rockwool, at the recommendation of our home automation guy. He was adamant that Rockwool was the best option for having a better sound barrier around the theater. 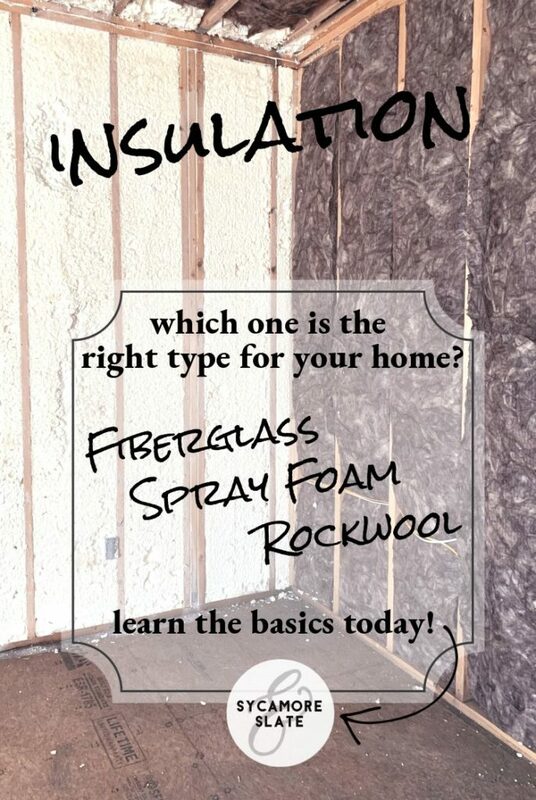 Rockwool was more expensive than fiberglass, but still cheaper than spray foam. Spray foam is a foam that’s created by a chemical reaction between two components: isocyanate and polyol resin. They are pumped through separate tubes into a gun, where they are finally allowed to mix at the gun’s tip, just before they’re sprayed into wall cavities. This creates an expanding foam which makes an excellent thermal and air-infiltration barrier. Spray foam comes in two main forms: open cell and closed cell. 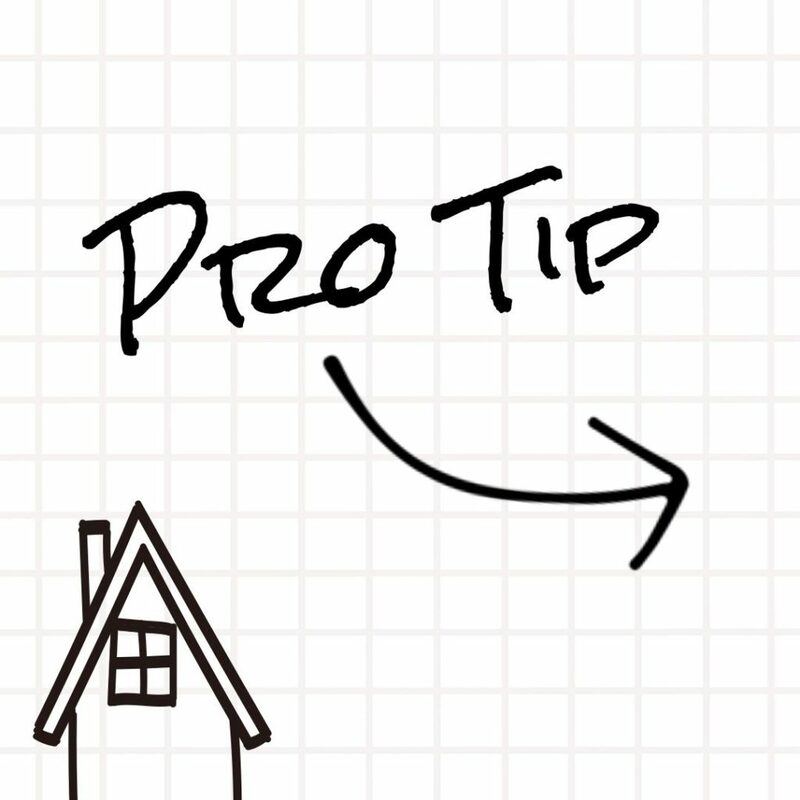 Open cell foam is spongier and less rigid than closed cell, which is denser and harder. To achieve the same R-value (resistance to heat flow), much less closed cell foam would be needed than open cell foam. Closed cell performs better all around (and takes up less room) than open cell, but is significantly more expensive. If they don’t already offer it, ask your spray foam installer to fill the empty space under your fiberglass and acrylic tubs/showers. You’ll end up with a much firmer, sturdier tub that doesn’t sound hollow or feel “bendy” when you’re using it! 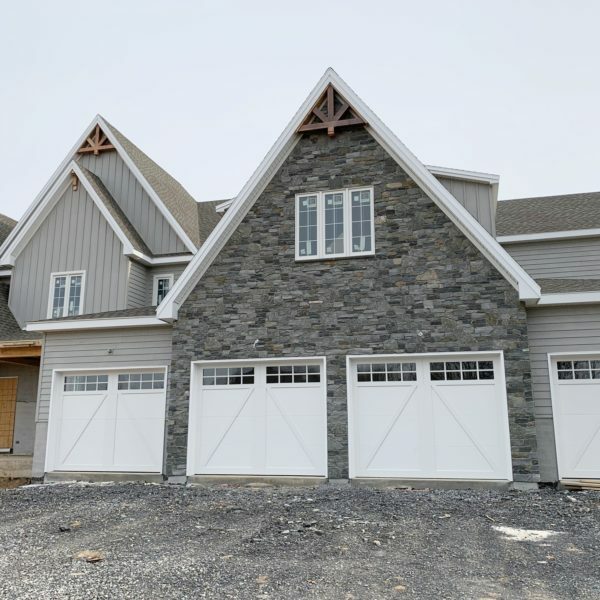 We did all our exterior walls with spray foam insulation, from the basement to the attic, as well as the walls between the garage and the house. 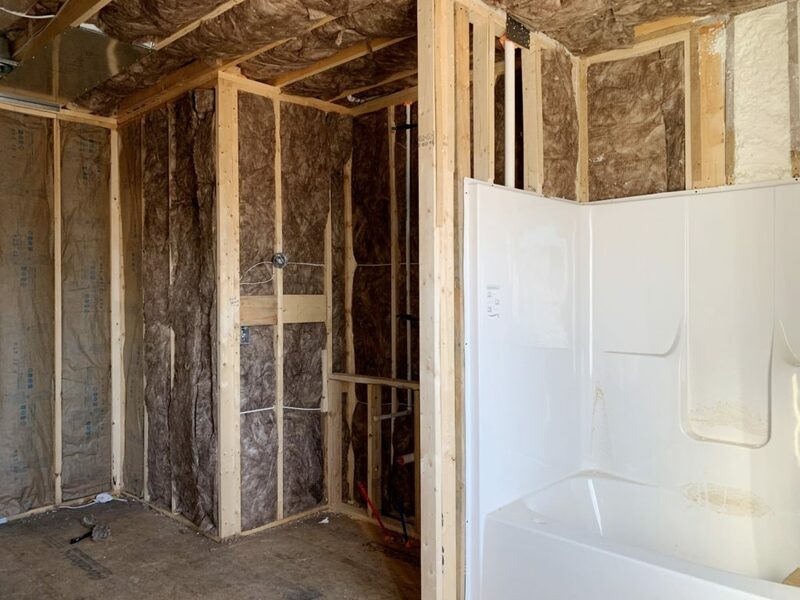 The majority of it was open cell foam, a product called GacoEZSpray, but there were some areas that required closed cell foam due to space limitations. That product was called GacoOnePass. 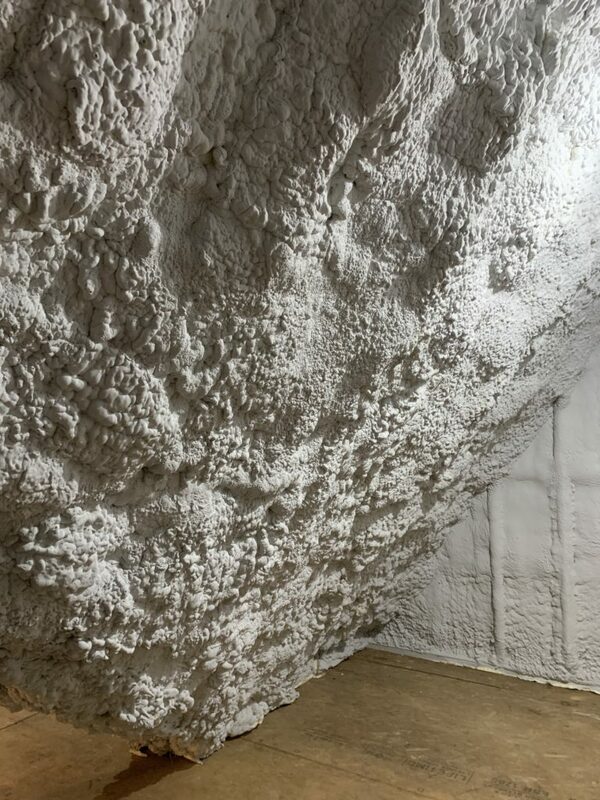 Spray foam was the most expensive insulation option, but we were really impressed with the foam’s reputation. 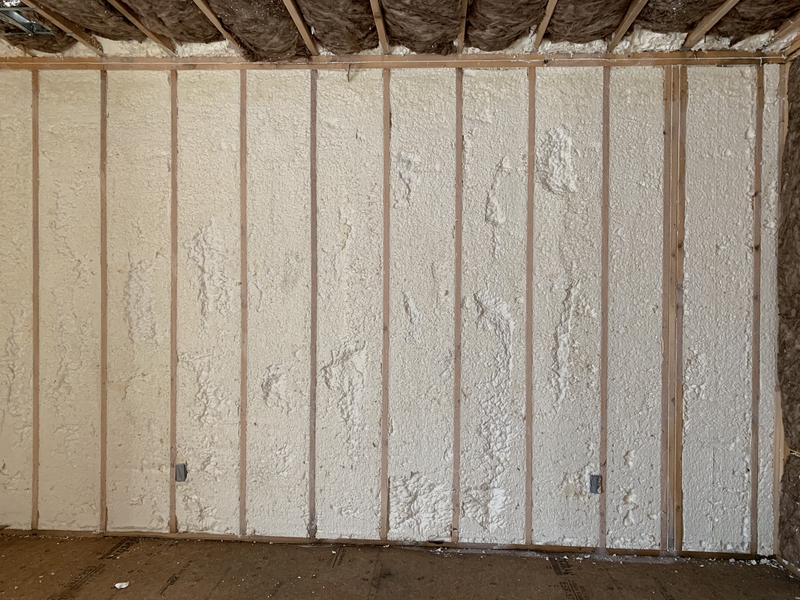 BUT, to drive up the cost even further, spray foam must be coated with a fire-barrier spray anywhere that it isn’t being covered with drywall. The spray ended up being another layer of cost that we hadn’t planned for. 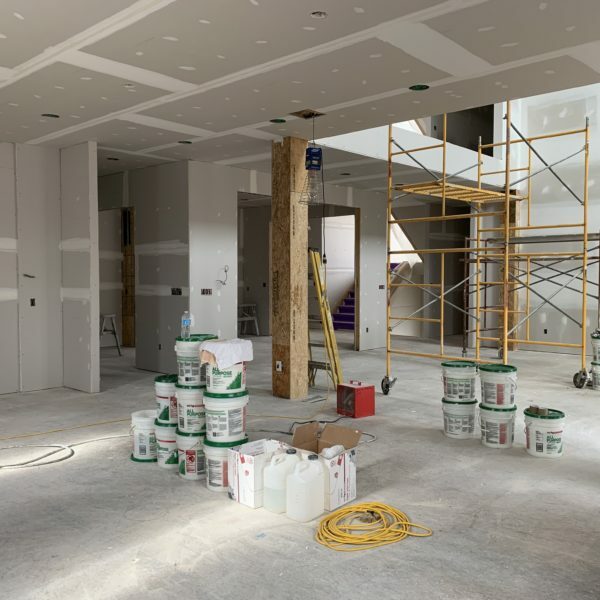 Another factor to consider with spray foam is that it’s toxic until it cures, and will require everyone (except the installers) to leave the building for at least twenty-four hours after that process is done, often longer. Depending on the size of the house, this can halt progress for several days. Even after it cures, the spray foam and the sprayed on fire-barrier both smell fairly strongly for another week or so, somewhat like strong paint or astringent chemicals. It definitely made it a little unpleasant to be in the house during that period. 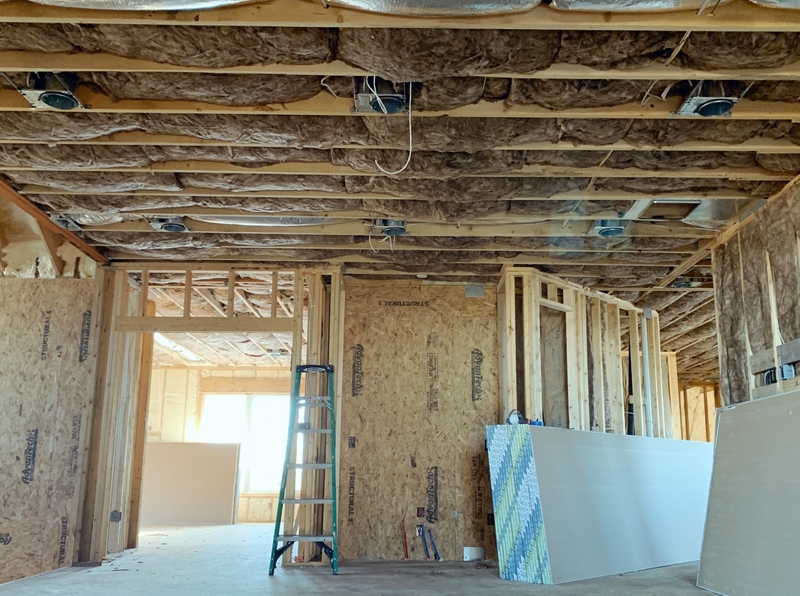 Spray foam also takes longer to install due to the fact that the foam puffs up out of the joists and needs to be shaved off and cut back out. That means coming back later to finish the job AND it means it makes an incredible mess over everything until it’s completely done! One last concern for spray foam lies in the woes of a job failure. 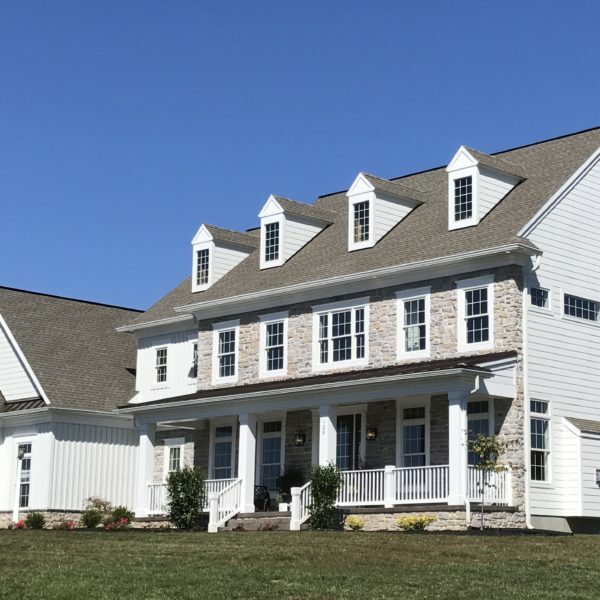 This happens rarely, but because the spray foam is created by precisely mixing chemicals, and the sensitive nature of the material, there’s more room for making mistakes with spray foam installation than most other types of insulation. These mistakes sometimes require cutting out ALL the foam and starting over, which is a massive cost and time-management issue. Make sure you find a reputable company with good reviews and ASK THEM about their experience with job failures and what they will do if that would happen to your house! Be thorough! If you’re working with a builder, make sure to address any concerns with them. So that’s a lot of information, I know! If you made it the whole way down to this paragraph, give yourself a pat on the back. 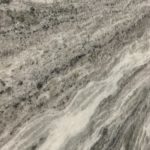 To anyone looking into insulation materials, I hope this blog post was at least a tiny bit helpful! There is so so so much more information about these options, but it could take weeks to cover it all. If you have any experiences or knowledge about these products or any others that I didn’t mention, tell me about it in the comments below! Thanks for reading! Check us out on Pinterest for more great ideas!